This is the best resort among all the resorts in Rajasthan. Pugmark Resort is located very close to the famous Ranthambhore. Pugmark Resort is nestled in green trees and is developed on 10 acres of property. This is the best resort among all the resorts in Rajasthan. Pugmark Resort is located very close to the famous Ranthambhore National Park (Sawai Madhopur). In fact all the other important destinations are located very close to this resort. Pugmark Resort is very nicely designed away from the chaotic city life in a very peaceful place. This resort is in the midst of nature and nature lovers freak out over here. This resort is a true combination of comfort and luxury. It is an ideal place for those who want to relax in the lap of nature. From the terrace of this hotel you can hear chirping of strange birds and animals roaming around in their natural habitat. It is a well planned resort with utmost sophistication. Pugmark Resort has 33 air conditioned luxury cottage and 1 pool luxury villa. 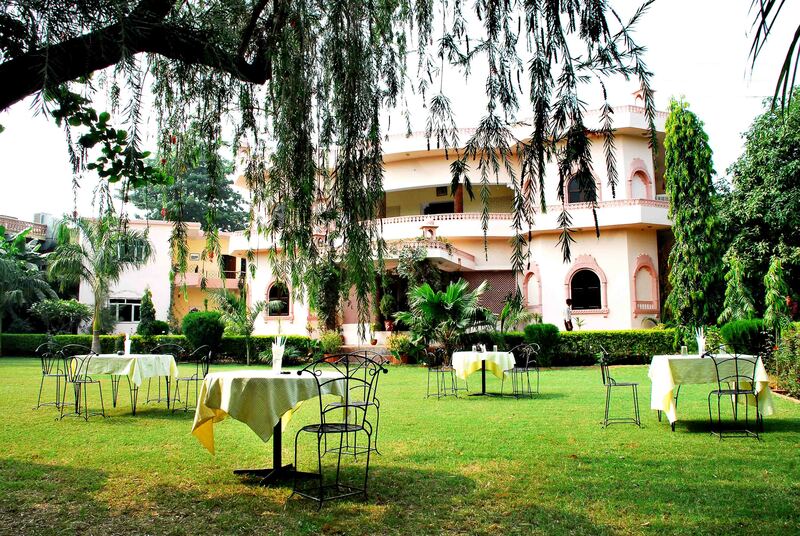 All the rooms are beautifully decorated and surrounded by lush green gardens. The rooms are spacious with attached toilets and 24 hours running hot and cold water. All rooms are designed in a unique style to suit the style of every visitor. The rooms have a breathtaking view from balcony and have all the modern amenities to fulfil the needs of all the guests arriving here. The luxury villa is an enclosed heaven and gives a feeling of a home away from home.. It has a personal pool which is a sensational spot. The pool villa is also equipped with all the modern amenities. The multi cuisine restaurant offers mouth watering and delectable food to its guests. All the chefs are well trained and serve 24 hours. The restaurant serves both Indian and International cuisines. The dining area has an amazing ambience and you can enjoy your evening here with drinks and live cultural performances. The staff at Pugmark Resort are very friendly, and always come forward to help you. The restaurant has a bar which serves both alcoholic and non alcoholic drinks and the guests feel so much at ease here.